Born to a heroin-addicted mother in an Appalachian prison, Deborah Jiang-Stein spent the first year of her life in incarceration, then bounced between foster families until she was adopted. After overcoming the harsh realities of her past – including an addiction of her own – Deborah set out to empower and inspire incarcerated women with the hope and tools they would need to succeed in life after prison. Now clean and sober for more than 20 years, Deborah leads the unPrison Project, providing incarcerated women with education, literacy, recovery and mentoring programs to prepare for a successful life after their release. 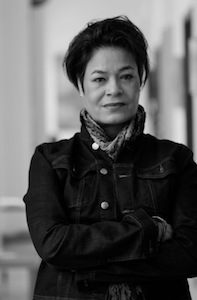 Deborah is the author of Women Behind Bars, collected interviews of incarcerated women, and the memoir, Prison Baby, described as “One woman’s struggles—beginning with her birth in prison—to find self-acceptance, proving that redemption and healing are possible even from the darkest corners.” She was also a 2017 L’Oréal Paris Women of Worth honoree. Deborah speaks inside and outside prison walls throughout the United States to a variety of audiences. Deborah focuses on prison reform; resilience and reinvention; second chances; and the power of hope. If you’re interested in Deborah speaking at your institution, conference or event, email office@unprison.org.